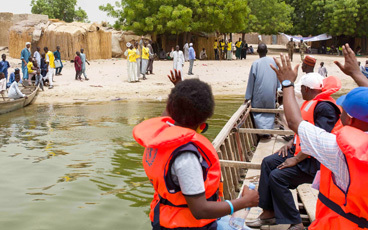 A US$ 33.3 million grant from the Government of Japan in humanitarian emergency funding to UNICEF was announced this week and will help to protect millions of children from polio in Nigeria and the Lake Chad region. In response to the urgent need to rapidly raise immunity to polio virus in the region, Japan has generously provided exceptional funding from their supplementary budget envelope to purchase polio vaccines, conduct house-to-house polio campaigns and support communication efforts to mobilize communities for vaccination in Nigeria, Chad, Niger, Cameroon and the Central African Republic. The detection of wild poliovirus in north-eastern Nigeria occurred in August 2016 following the large-scale movement of families affected by conflict in Borno State out of areas inaccessible to health services. 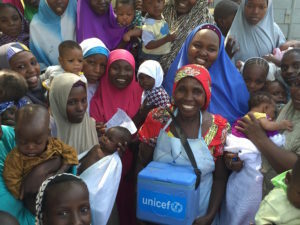 National Governments, in collaboration with the Global Polio Eradication Initiative (GPEI), comprising the World Health Organization, UNICEF, Rotary International, CDC and the Bill & Melinda Gates Foundation (BMGF), have implemented emergency vaccination campaigns throughout the region to rapidly raise childhood immunity to the polio virus and guard against further spread. 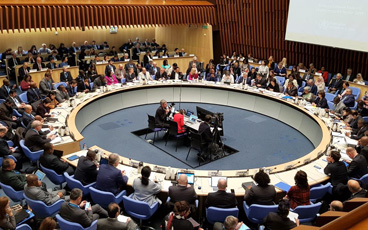 Japan remains one of the champion donors to the GPEI and the Global Health agenda in general, with contributions to polio eradication through UNICEF since 2002 totalling more than US$ 333 million. This funding – and the leadership provided by both the Tokyo International Conference on African Development (TICAD) process and the Japan International Cooperation Agency (JICA)’s innovative soft loan in partnership with BMGF in Nigeria and Pakistan for polio eradication – has proven instrumental in the historic reduction of wild poliovirus transmission globally. In 2016, wild poliovirus transmission was limited to just 37 cases globally in the three remaining polio-endemic countries – Nigeria, Pakistan and Afghanistan. This year, to date, only two cases have been recorded worldwide, in Afghanistan. However, while the opportunity to finally eradicate polio is real, the risk remains: as long as one child is infected, every child remains at risk. It is critical that all countries continue to maintain high immunity to polio until the virus is eradicated, once and for all.